A Gilet for the Great British Summertime Weather. Over the last few days, the weather has been amazing. The sun has been shining brightly and it has been so hot out there. I can not believe how warm it was at the running club the other night too. It took me hours to cool down afterwards. It just feels like the middle of Summer. I am not complaining though!! I am loving it. Just wondering how long it will last for!? Ha!! It is now time to pack all my Winter jackets away for a few months. Hopeful until the end of Autumn. Yeah! (I have been waiting for ages to do this!!). 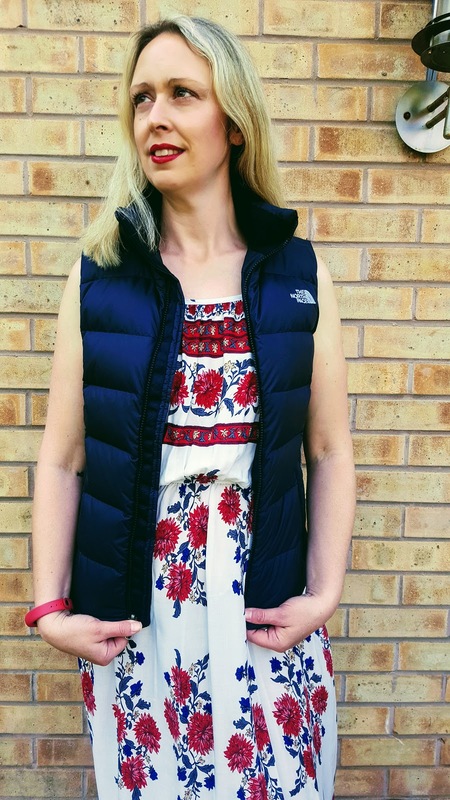 Today I have teamed up with Millets and The North Face to share what kind of jacket I will be wearing over the next few weeks now the weather has warmed up and also for cooler days when the sun is hiding. Millets have recently released their Spring/Summer range which includes a great selection of lightweight jackets, fleeces and gilets perfect for the great British weather. They kindly asked me to pick one of my favourite items which I would like to be wearing throughout the Summer months. What I really needed was something to keep me warm when on early morning dog walkies. Nothing that keeps my arms to restricted for when I am throwing Mollie’s frisbee. Something to keep my door keys safe and mostly keep my body warm when the sun is not out. Also, something to protect me if the weather changes when I am out walking. Yes, it chucked it out the other day when I was walking. Mollie and I were soaking wet when we got home. 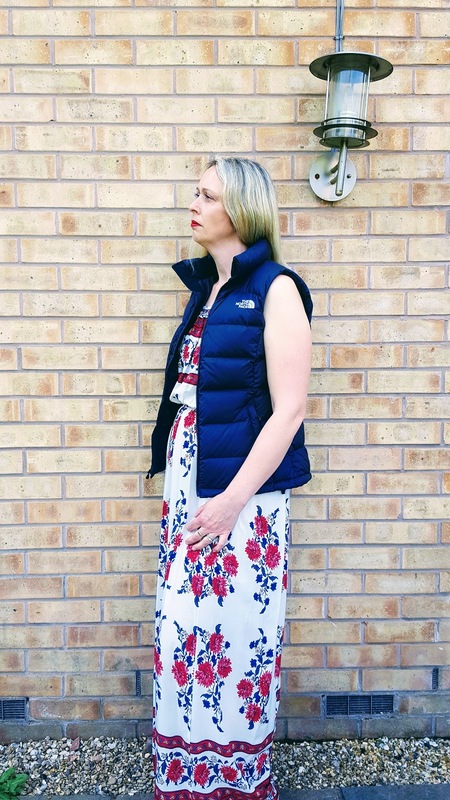 I love my The North Face jackets, that I already have and thought how perfect this Gilet would be for a change. This lighter alternative to a jacket is filled with 700 goose down. 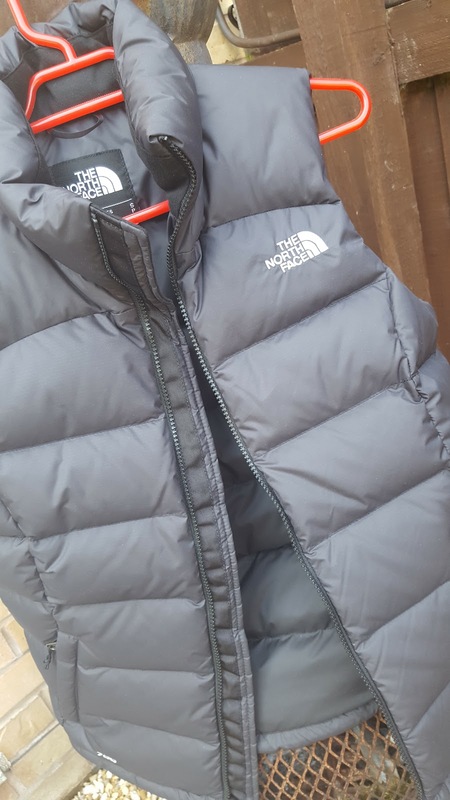 The North Face Nuptse 2 gilet will still keep you warm on chilly autumn walks in the evening. To keep your vest useable all year round the double layer taffeta on the shoulders provides an extra abrasion resistance against your backpack. When the temperature starts to drop sometimes a jacket can be too heavy. The North Face Nuptse Gilet is the perfect transition from Summer to Autumn weather. You can’t beat a goose down fill to keep you warm, which is why The North Face use this quality insulation in their Nuptse range. This popular gear comes in an array of colours so you can have one of each. Keeps you warm – 700 fill goose down, nature’s finest insulation. Durable ripstop with water-repellent finish – keeps rain, sleet and snow out for longer. Double-layer taffeta to shoulders – provides extra abrasion resistance to your backpack. Soft-lined collar – lined with microfibre for comfort against the face. Handwarmer pockets – 2x zipped hand pockets with soft inners for comfort. Inner zipped pocket – to keep your valuables safe. Compact – roll up into the pocket when not in use. Hem cinch cord – fit the gilet to suit you. Come in Black or Navy. Sizes XS, Small, Medium, Large or X-Large. I was right, it does make a nice change. I have tried it with denim shorts, jeans, a pencil skirt and also dresses and it looks great with all. 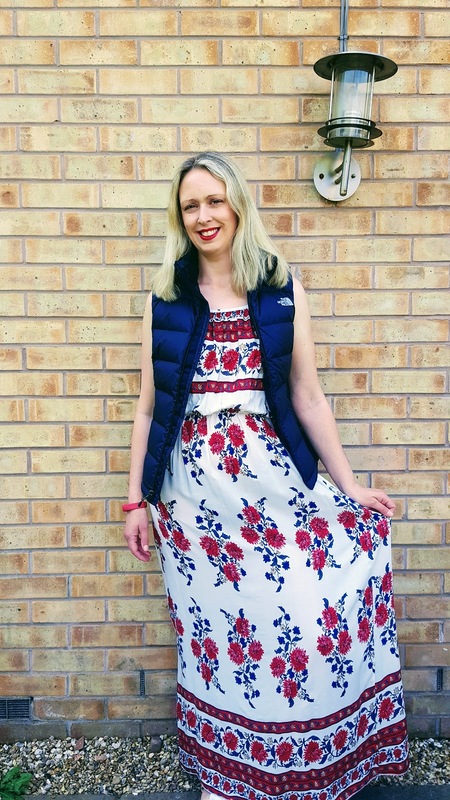 It was so warm yesterday so I thought I would share how I wore it with my maxi dress for nipping out quickly to the shops. I love the quality and feel to this gilet. The weather is so unpredictable here in the UK and I know this is going to get lots of wear over the next few months!! Do you like my new gilet? What would be your got to jacket for Summer? 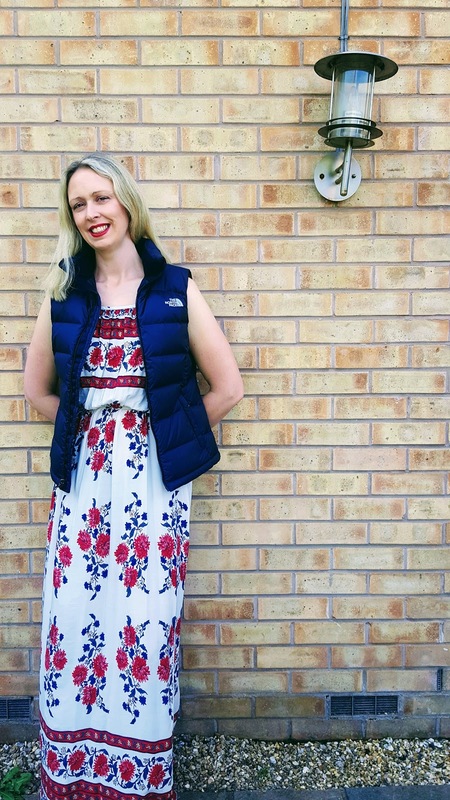 A Gilet for the Great British Summertime Weather. I was kindly asked to pick a jacket to review. All thoughts are my own and I was not paid for this post. Millets Hooded Long Jacket: Review. "Kiwi, Strawberry Ice Lollies: Great For Summer"
"How To Make A Panzanella Salad"
Puffy vests are the best for those types of days! We had some nice weather but it's pouring today. Hopefully it will clear up for the weekend. I love that dress and it looks cute with the vest! Aww, thanks Heather 🙂 Hope the weather improves for the weekend. I love how smart and fitted it looks, really good quality. The sun and warm weather is wonderful! I'm in the Pacific Northwest and it has just been beautiful! I've put my Winter clothes away and hopefully they will stay there until Fall! Have a great weekend! Thanks for linking up to Top of the World Style. North Face is an "It" brand here in Alaska. We wear it in winter. I love this look. The gilet looks fab. So handy too. This is perfect for the cooler mornings although with temperatures going up to 27 degrees in London I doubt I'd be wearing one past 8.30 am at the moment. 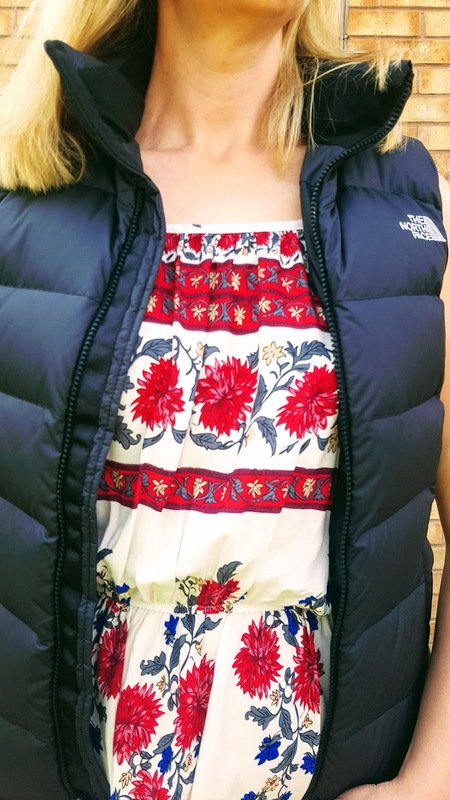 I am a major fan of North Face brand, this gilet you have styled very well. Fab addition to your wardrobe. I love layers! and pockets! 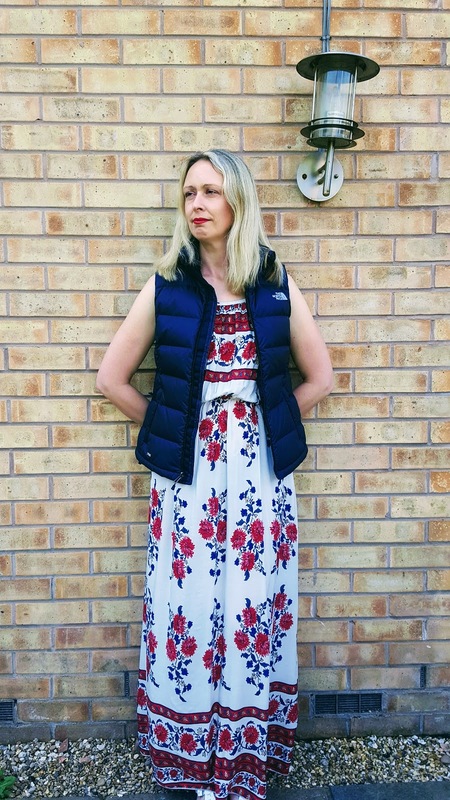 I love a Gilet, so useful for throwing on before heading out for a walk, but your not sure if it's warm enough for nothing.